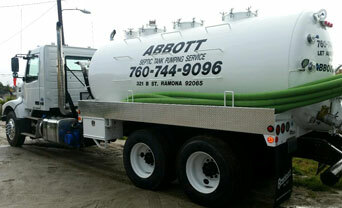 For North San Diego County's best value in septic services, call Abbott Septic Service. We've been serving residents throughout Fallbrook, Deluz, De Luz Heights, Rainbow, Pala, Valley Center, Hidden Meadows, Bonsall, Winterwarm, and surrounding communities since 1948. Over the years, our locally owned and operated septic company has pumped more than 50,000 septic tanks for more than 12,000 satisfied clients, and become known for our high-quality workmanship, fair rates, and excellent customer service. As a testament to our superior service, we receive between 60 and 70% of our business from returning clients and referrals. All of our work is done to code, and we can handle any permits and health department inspections. Additionally, we stand behind the quality of our installations and repairs with a one-year warranty. Call fully licensed and insured Abbott Septic Service today for all your septic tank needs in Fallbrook, Deluz, De Luz Heights, Rainbow, Pala, Valley Center, Hidden Meadows, Bonsall, Winterwarm, Pala Mesa, and surrounding areas in North San Diego County. You can reach us 24 hours a day, 7 days a week, and we have staff who are bilingual in English and Spanish. Abbott Septic Service provides competitively priced, thorough septic tank pumping to residents of Pala, Rainbow, Fallbrook, Deluz, Valley Center, Hidden Meadows, Bonsall, Winterwarm, Pala Mesa, and surrounding areas. Our septic tank pumping service includes removal of all liquid waste and sludge, giving you the most complete septic tank cleaning possible. With a thorough pumping of your tank, you can feel confident that your tank was fully emptied, which promotes optimum functionality of your system for up to three years. While on site, we will also visually inspect the system to look for any obvious signs of trouble or failure. 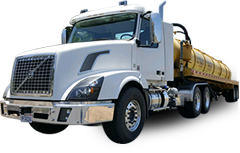 We have some of the most experienced and knowledgeable septic tank pumpers in San Diego County, who are skilled at identifying a wide range of potential problems early. Call today to schedule service. 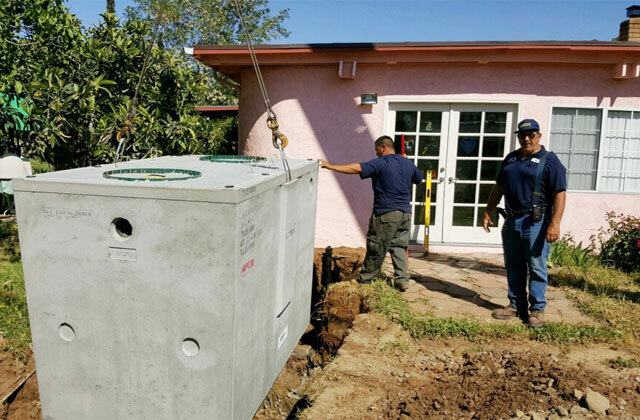 Using the latest electronic location equipment, the professionals at Abbott Septic Service are highly successful at finding septic tanks, even when buried under 20 feet of dirt or hidden beneath homes, pools, and other structures. 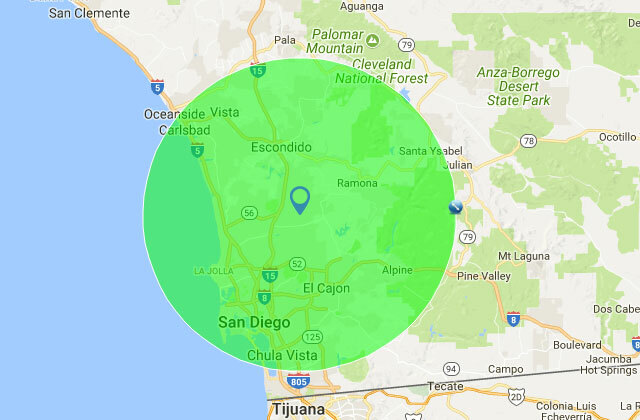 Our septic tank location service is available throughout Fallbrook, Deluz, Rainbow, Pala, Valley Center, Hidden Meadows, Bonsall, Winterwarm, and Pala Mesa, and we charge a fair hourly rate. Once a tank is found, we'll document its location. We can also dig it up and add a riser for easier access in the future. 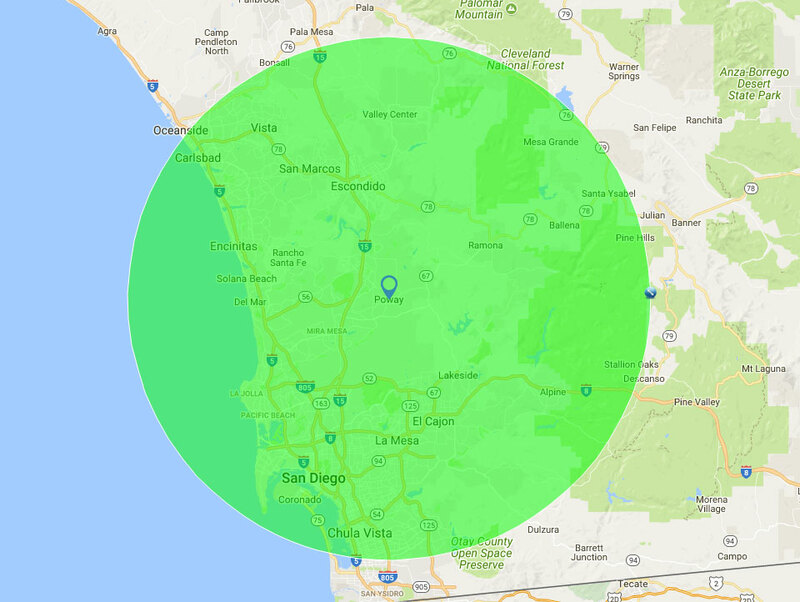 Call today to schedule septic tank locating service in North San Diego County. All of our septic tank repairs are competitively priced, done to code, and backed by a one-year guarantee. The only jobs we don't handle are those inside the home, which generally require a plumber or qualified contractor. Call today to schedule an appointment for septic tank repair services in Fallbrook, De Luz, Heights, Deluz, Rainbow, Pala, Valley Center, Hidden Meadows, Bonsall, Winterwarm, Pala Mesa, or other community in North San Diego County. If we've exhausted all options and found that your tank can't be repaired, only then will we recommend septic tank replacement. 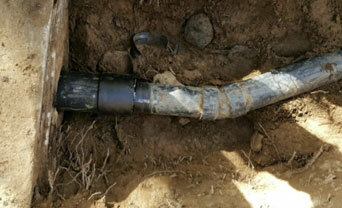 Abbott Septic Service is the best choice for septic system installation and replacement in San Diego County. We're a licensed and insured general engineering contractor with decades of experience and an excellent track record for designing and installing septic tank systems that are long lasting, durable, and reliable. We specialize in fiberglass and concrete septic tank systems and have the capacity to perform all excavating, grading, leveling, trenching, pipe laying, and backfilling necessary to complete the installation of your septic tank and drainfield. As part of our service, we also handle all permits and health department inspections. All septic tank installations and replacements are done to code and backed by a one-year warranty. We can also install additional leach lines and seepage pits for room additions. Call today to schedule an on-site consultation. We offer free quotes for new construction septic system installation projects in Fallbrook, Rainbow, Pala, Hidden Meadows, Bonsall, and surrounding areas. 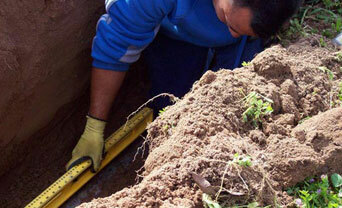 At Abbott Septic Service, we are readily available to perform the testing and inspection needed to assess the structural integrity and functionality of septic tank systems in Fallbrook, Deluz, Rainbow, Pala, Valley Center, Hidden Meadows, Bonsall, Winterwarm, Pala Mesa, and surrounding areas. 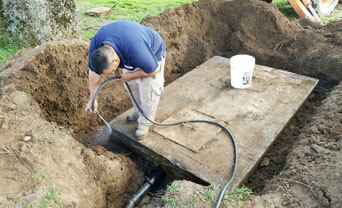 Septic tank inspections are performed by our own experienced industry experts, many of whom are PSAI and NAWT certified. We're available on short notice and can provide a quick turnaround if the septic tank is easy to find and accessible. Once we perform a visual inspection of the tank and complete a 20-minute water test, we document our findings and issue an official certificate of inspection. If we determine that further testing is needed, we will refer you to a qualified general contractor to perform a more in-depth investigation. Call now to schedule a septic tank inspection. Abbott pumped our septic tank, but there was a foul smell afterwards. Turns out our tank lids were loose. They came back and sealed our lids down so that the smell is gone. The guys that came out were really nice and friendly, and they fully explained what was going on. Based on this interaction, I would recommend this outfit. 5 stars for today's service call.